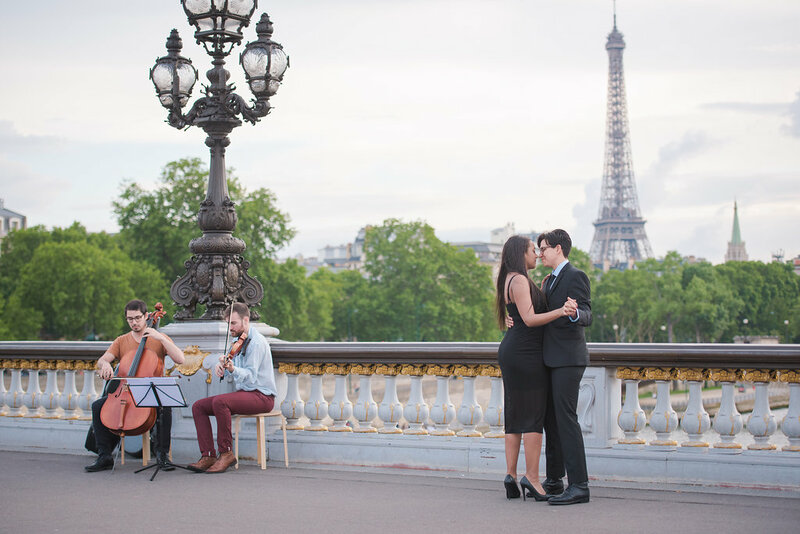 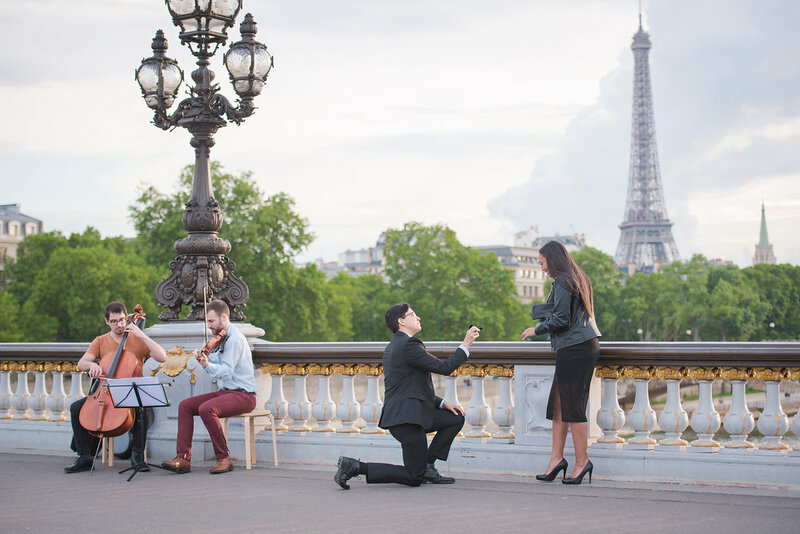 Andrea surprised Brittany with a sunset surprise proposal on Pont Alexandre III bridge, complete with a string duo composed of a violin & cellist! 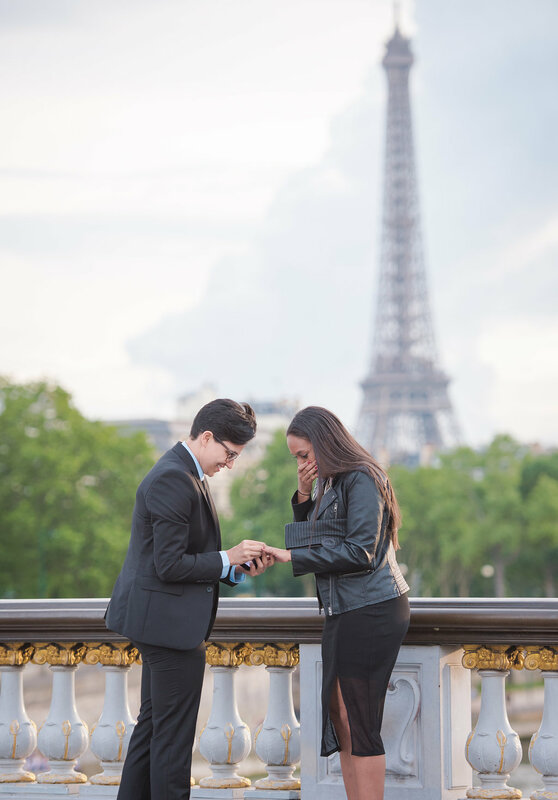 Andrea selected a couple of special songs to be played as he got down on one knee and Brittany was beyond surprised! 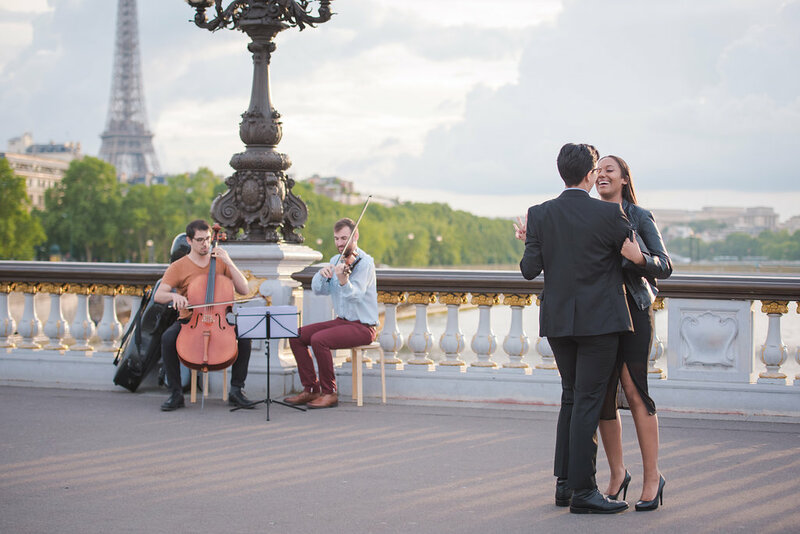 ← Sunrise Trocadero Proposal & Picnic!